Anxiety and Panic Attacks: Can Detox Help? 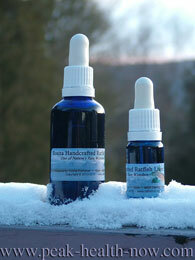 How can anxiety and panic attacks be relieved NATURALLY? In over 30 years of working with clients, I have seen how these problems can increase to the point where life seems almost unbearable.These days, it seems more than half the people I know are on prescription tranquilizers and anti-depressants (as opposed to natural ones). You CAN relieve this stress naturally! While medications work to a degree, they do have side effects and don't address the root causes of emotional stress. In most cases, decisive healthy lifestyle changes consistently implemented work wonders in relieving worry and depression! PHOTO ABOVE: Full-spectrum Amino Acids / Vitamin-Mineral supplements by Montiff - the highest integrity company of its kind, support calm, clear thinking and reduce the static in our lives. If the unrest inside you never seems to go away, toxins may be upsetting the natural balance of your body. A major, often unrecognized cause of anxiety and panic attacks is accumulation of toxins in body tissues, including the nervous system! ALL of us (even animals in the wild) are burdened with toxins. We don't like to think about it, but we DO live in a toxic world. This is why virtually EVERYONE can benefit from body cleansing. Add the stresses of daily life - relationship difficulties, financial challenges and problems in the workplace. No wonder so many people have such difficulty finding real happiness and pleasure in life! No matter what your situation, a resilient nervous system and strong body will help you handle life's challenges MUCH better. 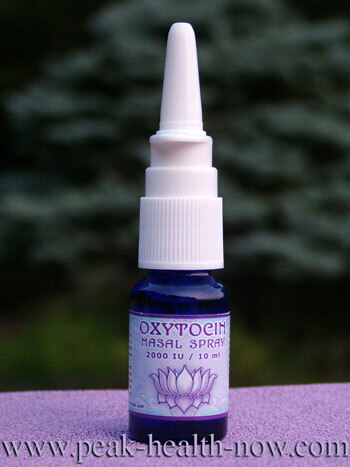 PHOTO BELOW: Easy full-spectrum detoxification of all major toxins including mercury and other heavy metals. Convenient suppository form and quick application with big results for the majority of people. The trials and tribulations of acute mercury poisoning (due to a doctor mistake in my detox protocol) included severe emotional challenges. After all, toxic heavy metals, especially mercury, damage brain and nervous system as well as other body systems. Anxiety, deep depression and nameless fears that sometimes led to panic attacks tested my endurance. I searched diligently for solutions. Years of experience in the connectedness of body and emotion, led me to in-depth exploration of mind-body healing techniques. During those five difficult years, I did a lifetime of soul-searching, diligently utilizing a wide variety of personal growth techniques. EFT (Emotional Freedom Technique), law of attraction, Joe Vitale's 'Attractor Factor' 5-step process, Abraham-Hicks Deliberate Creation and other methods were among those I practiced. I gave each one my undivided attention for months at a time to see what would help the most. While the above practices all had value, they took a lot of concentrated effort and time. Ultimately, improving my physiological state - my biochemistry - through detoxification was most important for healing. The personal growth processes contributed, but would not have succeeded without healing the body. ...the anxiety, depression and occasional panic attacks did not go away. I was not prepared for how amazed I would be when all my angst and psychological 'problems' instantly became irrelevant! Some of the body cleanse methods, such as EDTA Chelation suppositories had such a powerful effect on my physiology that within days, I achieved a state I have named 'physiological happiness.' There was no doubt that significantly relieving the toxic load had initiated a state of euphoria. It was not an escape, but rather well-grounded in solid physiological changes. Here are some suggestions to determine what may be right for you. Start with the following supportive measures BEFORE proceeding with detox methods. Just following the steps I list below will improve your ability to handle stress. Eliminate sugar, coffee, alcohol, and processed food gradually, while eating a whole food diet that includes high-quality protein (helps support adrenal glands), healthy fats (nerve food), and fresh vegetables and fruit. 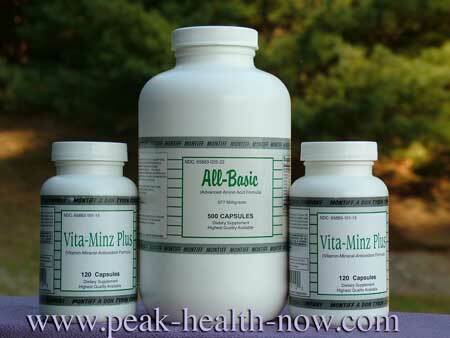 A good multivitamin/mineral plus full spectrum amino acid supplement is a good idea, too. Exercise, get quality sleep, and take care of the basics. THEN begin exploring detox ideas. Because if you try to detox a body that is nutritionally depleted, you could further deplete nutrients. That is a bad idea. For example, if you deplete electrolyte minerals such as magnesium, you could find yourself with heart palpitations. People suffering anxiety often are already low in magnesium and other minerals. This is not to scare you off from detox, but to encourage you to have a solid self-care program in place as a secure foundation before doing any major body cleansing. If you are taking prescription drugs, consult with your doctor on any detox methods you are considering. Some, like Duloxetine (Cymbalta) can cause liver damage (over 800 kinds of prescription drugs can cause liver disease)! Example: If you have liver damage from prescription drugs and do a liver cleanse without proper preparation (colon cleanse first), and supervision (a doctor), you could create problems by detoxifying too fast. The purpose of this site is information only. If you have not yet read my disclaimer, please do. Relieving the toxic load in your body helps allow the nervous system to normalize. This is because many toxic substances such as heavy metals, organophosphates and other chemicals in insecticides, methylisothiazoline and other chemicals in commercial shampoos all have been proven to cause nerve damage. Nerve damage from toxins deteriorates brain and nervous system function. This leads to stress, depression and anxiety. 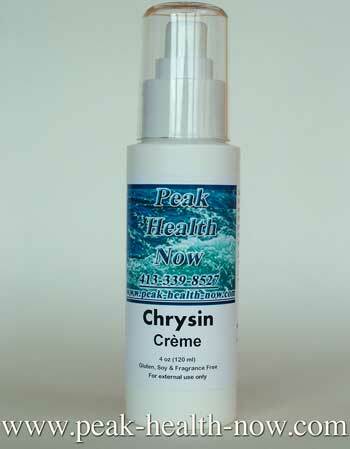 PHOTO ABOVE: Chrysin Cream (passiflora incarnata / passion flower extract) supports calmness and confidence. One of the things I learned in my training as a Certified Advanced Rolferis the importance of balancing the right and left sides of the brain. When both brain hemispheres are in sync with each other, one enters a state that can be likened to deep meditation, yet capable of being fully alert and aware. Stress relief is the natural result. Audio technology brain balancing is the easiest, most convenient and reliable way to relieve anxiety fast. You don't have to wait to become adept at meditation (though doing that in addition adds to your arsenal of relaxation techniques). Emotional and 'vibrational' detox complements and supports your body cleanse protocol. It can be a time you take for yourself during a busy day. Meditation or calm contemplation of nature can lead you to this state. Every healthy, successful person I know takes some special time to be with themselves on a daily basis, even if just for 15 minutes. During this time, make a practice of noticing how 'busy' your mind is, be still, and allow yourself to calmly let go of thinking. Start to feel your body, taking some easy deep breaths and making an agreement to, at least temporarily, drop your cares, personal issues and other worries. Consistent practice will go a long way toward bringing the balance needed to heal. Recently, I did some research on how electromagnetic fields may contribute to anxiety and panic attacks. My inquiry was prompted by the profound calm I experienced when the electricity in my house was cut off in a winter storm. I began experimenting by turning off the circuit breaker to the bedroom. Electromagnetic energy fields are a form of toxic pollution. They frequently interfere with our vital energy and health, including mental and emotional health. VERY IMPORTANT: Mercury, lead and other toxic metals attract electromagnetic field interference into our bodies, functioning as a sort of antenna! When you chelate enough of the toxic metals OUT of your body - you will be much less affected by Wi-Fi, cellphone radiation and electrical wiring emissions. PHOTO ABOVE: EDTA plus liver / gallbladder / kidney Detox Suppositories 3 - pack for full-spectrum toxic metal chelation. The LEAST Processed Fish Liver Oil on the Planet! TOTALLY RAW - so rich in antioxidants, it needs NO preservatives! So mild-tasting and smelling you can use it as a face oil! Boost Your Vitality With Transdermal Creams! Real Estrogen Cream and More! super-pure, freshly-made in small batches. Chrysin Extract (Passiflora Incarnata) in transdermal form. Supports integrity of Testosterone in the body.